Current IBF World welterweight champion wants to stay in the welterweight division and targets Manny Pacquiao for the unification bout next year. The IBF world welterweight champion Kell Brook of UK believes Pacquiao will dominate Vargas on November 5, 2016 in Las Vegas. "Of course I would be interested in the winner [of Pacquiao-Vargas]," Brook told ESPN. "All the fans were saying I didn't fancy fighting the best fighters, but I have gone in there with the best in the world in Golovkin, and I'm ready to do it again. "I'm after the biggest and best fights out there, those are the ones that are going to get me up for it. "Once you have become world champion, you need special fights to really keep you motivated in training. A world title unification fight would do that. "I see Vargas getting some success, but I just think with Pacquiao's experience, having been in with the better opponents, he's going to have too much. "But I don't see Pacquiao stopping him -- he'll win on points. He's had a lot of time out: is his passion still there? It could catch up with you at that age, so he's got to be careful, and that makes the fight interesting. "Vargas is a good fighter -- he's a world champion -- but he's not the best out there. There's not massive margins at this level, but I don't think he's in the super league with the likes of Keith Thurman, Danny Garcia and myself. 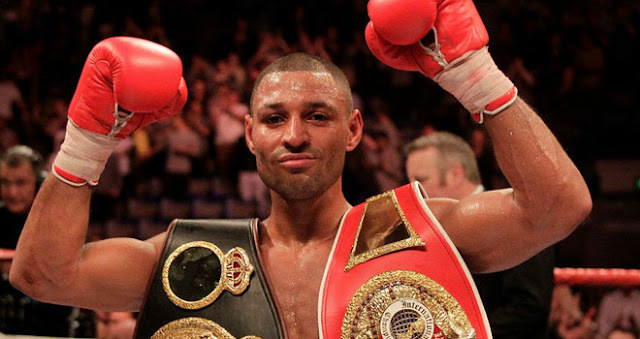 Brook with the record of 36W(25KO)-1L is one of the dangerous boxer in the welterweight division. He is a hard hitting and defeated prominent foes including Shawn Porter, Ionut Dan Ion, Frankie Gavin and Kevin Bizier.